With Easter just a few days away, you may be planning to buy eggs. 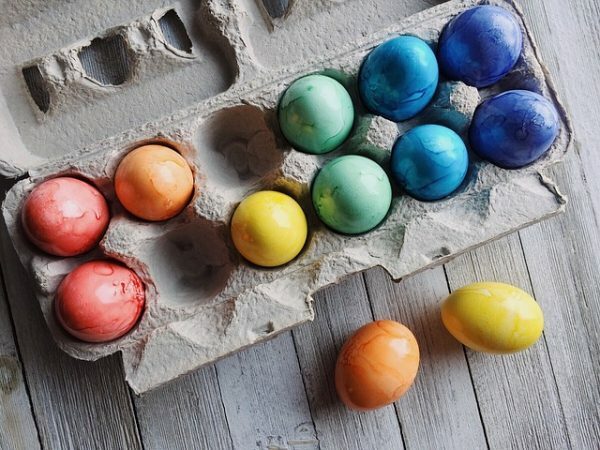 As you look through the many options of eggs available in your local grocery store, you might wonder, what is the difference between the grades? How are eggs inspected for quality? Is there a nutritional difference between white eggs and brown eggs? And how long after the package’s sell-by date are the eggs still safe to eat? You can find the answers to these and other egg-cellent questions in a short video from the Colorado Department of Agriculture, Ask the Egg Man. The video features an egg inspector who demonstrates how the state looks inside eggs to to make sure “there’s nothing you don’t want to eat in there.” He also provides tips on how you can check the eggs you buy. In our library you can also find a brochure that provides some additional Q & A about buying eggs.